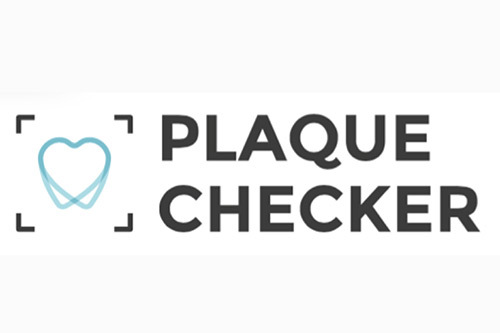 PlaqueChecker is a digital dental check-up in the form of an app for a mobile device meaning that it can be used by anyone anywhere in the world with a smartphone. We can offer the service as an affordable subscription model making dental care accessible in developed and developing countries. PlaqueChecker’s ambition is to reduce the statistics associated with poor oral health by providing accessible, affordable personalised digital dental care to individuals and families to help them be actively engaged in improving their own oral health. We are also working on creating the first dataset of it’s kind. Our data will give insight into individuals and families that has never been around before; data and understanding that can help pharmaceutical companies target and understand customers further as well as providing insights to new areas with new information that can help aid research. Our data will also allow us to create correlations between oral health and systemic diseases as well as the oral health of different demographics such as gender, age and ethnicity. One of the founders of PlaqueChecker, Hawaa Budraa created the PlaqueChecker technology for her final year project at university and proved the concept backed by existing research using images to detect plaque on teeth. Her inspiration came from her sister who was refused braces due to the high levels of plaque on her teeth and was told to come back when she had it under control. This could have been prevented if she had a way of regularly monitoring her teeth. Hawaa’s sister is not the only person who lacks the ability to to regularly monitor their teeth when away from the dentist. Worldwide, over 60% of children and nearly 100% of adults have tooth decay (Source: WHO). A lot of this is preventable; regular monitoring of our teeth and gums would pick up plaque and inflamed gums before they develop into tooth decay and gum disease. However, a great deal of people do not have access to a dentist - because of cost, or even fear - and even those that do visit the dentist only see them twice a year, which means that they are left alone for the other 363 days to manage the health of their teeth and gums. There is currently no means when away from a dentist to know how well we are cleaning our teeth and gums. We do not have a digital tool to tell us where to specifically focus our cleaning efforts on or to indicate whether we’re improving the health of our teeth and gums or not. The initial technology only recognised areas of plaque and it was developed from October 2014 - April 2015 at City University and since then it has been advanced by our team to include further features as well as advancing existing features. Our current prototype consists of image recognition technology in the form of a know-how algorithm that analyses pictures taken from a smartphone, recognises and highlights areas of inflamed gums and plaque.